daniel wrote: In the old texts, it is referred to "stealing someone's shadow." This instantly reminded me about this series "Once Upon a Time" season 3 episode 1. In this episode Peter Pans shadow swoops in and steals this one mans "shadow" looked like it was pulled from inside out so its more than just a shadow in that sense; and he instantly dies after that. Its kinda good series if you are into that sort of stuff and there is also references about all that stuff going around behind the scenes like any other show these days. More LoneBear's department... but yes, there are legends of inner earth access all over the globe. Don't know about Bosnia, but there was an "entrance to hell" in Cuzco, Peru, and another in Death Valley, California. You have to remember that in the old, Christian context, the society at the center of the Earth was in "hell", since Enlil's orbiting spaceship was "Heaven." Given that Aghartha is technically located in the 3D time of the Earth's core, I suppose you could consider the pyramids as "passages" to that realm. Thank you for Grimes' book. Could you suggest any other books on psychology? Even if they are from the 19th C. Have you ever heard about Jung's The Red Book - "the most influential unpublished work in the history of psychology"? So, the LMs procreate like humans? Do they also have sexual needs like us? Do they use some technology to do that? Can you give some of those "interesting" examples? So, that's why the "elite" (Bush etc.) supposedly gathered at the pyramids of Giza in December of 1999? I think they made some kind of ceremony. I heard this in an interview with J. Maxwell. Oh, they wanted to celebrate the new millennium, yes. But then Max. said they should have done it in Dec. of 2000, not 1999. Daniel, since you wrote about the electronic "mind-control" devices, how do you think they can be used (at least partially) to our benefit? I hope I understood correctly what you wanted to say, i.e. that they contain some electronic parts which can be (remotely?) activated? What about MP3 players and sound speakers - do you think that the quality of the sound nowadays can have a substantial influence on our brain, meaning it can influence our behaviour? What do you think about psychedelic music? Can it be somehow beneficial? David once mentioned Tangerine Dream, first two albums if I'm not wrong. Do you have any advice on how to maintain or improve your sight - for those of us who use computers at work, and read a lot. "Yoga for eyes" maybe, or some natural remedies? deepfsh wrote: Daniel, since you wrote about the electronic "mind-control" devices, how do you think they can be used (at least partially) to our benefit? I hope I understood correctly what you wanted to say, i.e. that they contain some electronic parts which can be (remotely?) activated? What about MP3 players and sound speakers - do you think that the quality of the sound nowadays can have a substantial influence on our brain, meaning it can influence our behaviour? What do you think about psychedelic music? Can it be somehow beneficial? I jump in for the psychedelic music which I wrote - viewtopic.php?f=12&t=1427 - about it influencing of ones thoughts perhaps even introducing some certain thoughts or being a "catalyst" for them certain thoughts. So I think there is very strong possibility that mind control is used vastly around the world. Psychedelic music can be useful too because it makes you think certain way for to learn about yourself and stuff, especially when on psychedelic drugs. I know from personal experience. And I know that those drugs are not healthy on the long run if used for recreational purposes. However they are useful for personal problem solving and effective where other drugs are not i.e. alcohol. Marijuana for instance is a psychedelic although mild one compared to LSD, magic mushrooms, mescaline and DMT. deepfsh wrote: Thank you for Grimes' book. Could you suggest any other books on psychology? Even if they are from the 19th C. Have you ever heard about Jung's The Red Book - "the most influential unpublished work in the history of psychology"? Ah, Liber Novus... good book. That was one of the books that got me interested in the mythology of all races, that led to George Hunt-Williamson's research on the Elder Race. I'd recommend the work of Gustave Le Bon, in particular his book called, The Crowd. Concerns the behavior of people in the "crowd" mentality, where they lose their individuality and are literally possessed by some other unseen force, perhaps akin to one of Gopi's avatars. The book focuses on collective mentality, and how it is influenced. One of the founding works of psychology. Curiously Le Bon also wrote The Evolution of Matter, which is the source of T. Henry Moray's "free energy" device, that produced 50 kw of power and was the size of a filing cabinet drawer. I have some discussion on the RS2 site, concerning Le Bon. deepfsh wrote: So, the LMs procreate like humans? Do they also have sexual needs like us? According to legend, they procreate like all mammals, but their society is not saturated with sexual desires, as human society is. The biological need to keep the species going is there, but not the "entertainment" value. Thank you! That's just what I've been interested in and was searching for, so I could add it to my monthly curriculum. Your whole paragraph was very synchronistic. LoneBear wrote: According to legend, they procreate like all mammals, but their society is not saturated with sexual desires, as human society is. Besides those very interesting posts on Antiquatis and CH, which books (authors) would you recommend regarding the study of dreams? From spiritual and scientific point of view. On the RS page, I found one of your papers and two chapters in Larson's book Beyond Time and Space dealing with this topic. I also added Daniel's paper Time and Timelines, I think it's also related to it. As for the RS Theory, I'll start with the video tutorials. Location: My bubble outside Chicago. LoneBear wrote: In general, a person's "mission" is the one thing that nothing will stop them from doing. This may not be the best spot for this, but here is where I found the quote above... move it to a different thread if you see fit. I think that I know myself pretty well; I have no idea what my "mission" might be... I might even argue that no such identifiable goal exists. Anything is possible with the proper training. daniel, you are absolutely spot on with that observation. Someone came into my life in December 2014. It was a very intense relationship - she kept calling me and speaking for 2 or 3 hours on the phone almost daily. She needed help with her mission. It's glamorous, HUGE as in affecting the whole planet and other worlds. She' s dedicated over a decade of her life on this full time but hit a massive road block. Stuff happened and we parted company in May 2015. Then she came back into my life in the summer of 2016. Things had moved on - they got much worse. I tried my best for her. I moved mountains for her because I believed her mission would have saved this world. OMG! I survived by the skin of my teeth. It was a sting - a very sophisticated 3 pronged attack - and I was the mark. When it was over, after all attacks failed, the guys behind it came to complain bitterly to me. They had set the whole thing up to trap me. They laid on a very tasty bait to lure me into befriending her back in Dec 2014. I am protected by a very powerful magic spell. If an attack on me fails, the other party gets totally screwed. You had a hell of an escape"
"You were meant to fail. You should have failed. Damn you! We saw every timeline but not that one. We could not see that one. Now we are screwed; totally screwed. Those baddies cobbled together a Plan 'B' and tried to trap me with another of their dastardly schemes a few months later. After that failed (and it wasn't just a fail because the outcome was that the bait ended up helping me with a task that I could never have done without that assistance), they got so desperate that they asked me for advice on what to do. Since I am a nice guy, I gave them my best unbiased advice. They took it and came back 2 nights later to thank me. Life has moved on since I read Shakuntala Modi's Remarkable Healings in 2010. The lady contacted me again earlier this week. Her mission has got even more unattainable and she was told to seek my advice. There's been loads of cabal guys giving her the run around, telling her that her mission will be completed successfully. I knew what is going on and I told her the truth - she failed in early 2015 and nothing and nobody can ever put her back on track. It's the way the game is played in this world - one bad move and wham! you slide down the snake instead of climbing the ladder. Which is why she will never succeed. There's a lot of starseeds out there who think they know what their mission is and that's all they focus on. One referred to this statistic and he said that guidance was given that it was found that the original estimate of 2% success was too high..... Aaargh! My friend has investigated why things go so wrong here with the starseeds. She concluded that it's because they do not understand that their 1st and most important task is to heal themselves. If they do not attend to this, they are in no position to do any mission because the cabal will go hammer and tongs at their greatest weaknesses and vulnerabilities. But if the guy undergoes intensive healing, his weaknesses are shored up and his vulnerabilities closed off. Which means that attacks fail and he can continue on his path. It's like a computer game. Suppose you are in a role playing game where you are shown a castle where the princess is held prisoner by a fire breathing dragon. Mission involves breaking into the castle, killing the dragon and saving the princess. Uh huh - no no no. If you put all your efforts into climbing the hill and breaking into the castle from the word go, you will never get anywhere. For most of the game, the player will be exploring other areas - down valley, across dale, through the fields, into the meadows etc. He gains experience points and gold coins and stuff which he uses to build up his attributes (stamina, strength, archery skills, swordsmanship) and buying better and better kit. Finally, one day when he has got a fine magical steed and posses Excalibur's twin and lots of magic potions and arrows, then and only then does he approach the castle to fulfil the mission. In other words, there's a lot of work to be done before a starseed can do his mission. And it's ever so unhelpful to know about the existence of the dragon and princess before he is ready for that task. My friend said everyone wants to fight - they all want to go out there and do stuff. His name is Dr. Ihaleakala Hew Len. We probably spent an hour talking on our first phone call. I asked him to tell me the complete story of his work as a therapist. He explained that he worked at Hawaii State Hospital for four years. That ward where they kept the criminally insane was dangerous. Psychologists quit on a monthly basis. The staff called in sick a lot or simply quit. People would walk through that ward with their backs against the wall, afraid of being attacked by patients. It was not a pleasant place to live, work, or visit. Dr. Len told me that he never saw patients. He agreed to have an office and to review their files. While he looked at those files, he would work on himself. As he worked on himself, patients began to heal. "After a few months, patients that had to be shackled were being allowed to walk freely," he told me. "Others who had to be heavily medicated were getting off their medications. And those who had no chance of ever being released were being freed." "Not only that," he went on, "but the staff began to enjoy coming to work. Absenteeism and turnover disappeared. We ended up with more staff than we needed because patients were being released, and all the staff was showing up to work. Today, that ward is closed." This is where I had to ask the million dollar question: "What were you doing within yourself that caused those people to change?" "I was simply healing the part of me that created them," he said. Dr. Len explained that total responsibility for your life means that everything in your life - simply because it is in your life--is your responsibility. In a literal sense the entire world is your creation. This sounds like its from "The Adjustment Bureau" movie. If you haven't seen it you should watch it just to see the similarity I mean. I think I have read that same "self healing thing" on your other post somewhere else, here or CH forum. It does sound like he is an all powerful being, I haven't gotten better life no matter how much I try to heal myself, because some new neighbors keep me up at night if I dont use earplugs. The first one was long time up there stomping around, but now I kinda miss him since it only got worse with the second one and now third one even worse with her 3 dogs, barking every now and then for whatever reason. So there simply cant be any peace and quietness at night or if there would be then the other thing that gets my fight or flight on mode instantly, that is tobacco smoke which I would smell in my home. The neighbors who smoke would be the cause for that obviously or someone that visits them. I dont smoke myself so I cant heal it, nor I do have a dog. So how to get rid of them to get some good night sleep without ears hurting at every morning? You could try moving away. From what I have seen with my life, I'd suggest that the reason those things are happening is because you are being encouraged to change your location. If your Higher Self wants that and you are not responding in the manner required, the screws get tightened further and further until you move your arse. Have you come across Robert Schwartz? There's videos of interviews with him where he talks about the soul's plan. Last edited by antiquatis user on Mon Jul 09, 2018 1:53 am, edited 1 time in total. I called him to service but he did not respond positively. Not particularly logical option because of financial reasons. However if an opportunity to move away comes I am open to that possibility. Now though I dont see it happening. Also gotta mention that times got better for a while back about 4-5 years ago. Been living in the same place for little over 13 years now. PS. My Higher Self indicates that it is unnecessary to move away. If I moved into some other such small apartment in a flat or rowhouse the same things would bother me from the neighbors still, because of the vents that are made so right above certain windows and you cant really escape sounds much when there is just concrete between the two, with no sound insulation. Millions of souls have been sent into this prison to work towards a jail break. We are at end game and earlier this year, I was told that all these volunteers / incarnates / starseeds (they have various names) are being called up. However, I was also told that not all will respond. We came as sleepers (easy after the memory wipe) but at some point, we are called to wake up. I have that book; bought it some 20+ years ago. Like all New Age doctrines, it plays on the fact that "everything you know is wrong," a condition that was deliberately created by TPTB because it is easier to control an artificial reality--where they make ALL the rules--than a Natural one. In this game, you are a superbeing from a galaxy, far, far away... or perhaps a planet in the barred spiral galaxy on the Cepheus-Draco border... were you have to become a dysfunctional part of humanity by believing all the "education" to keep you a slave to the bloodline of the former ET colonists, aka "Gods." Then you are supposed to wake yourself up after reaching maximum dysfunctionality, realize you are a superhero and save the world. Kind of like playing "Neo" in The Matrix game. But in actuality, it is just swapping one control drama for another--if you actually "woke up," you'd see this starseed / wanderer stuff for the artificial reality it also is, constructed as a replacement to the failing religious (blue vMeme) control mechanism. To keep slaves in slavery, both the yin and yang aspects must be controlled--the yang being the body and the yin, the soul. So put imaginary fences ("borders" of cities, states, provinces and countries) to keep the cattle penned up by their owners and forced to do their bidding until they get too old to be of use, then put them on "Health Care" and kill them off. I'm actually surprised that Obamacare did not include a Soylent Green section. Then entrap the soul in an artificial reality, where--by doing absolutely nothing--one will ascend to higher planes of existence via ET intervention. Yeah, right. Not to mention "free replicators" for all. 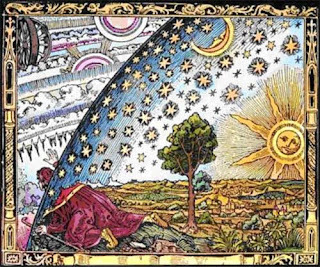 Now through "lifting the veil" of disinformation, you CAN "wake up," but unfortunately, the reality you wake up to is not a pretty one--nothing to do with lightworkers floating around in cloud cities playing harps. The natural world is still based on natural law--survival of the fittest. And everything you were taught about surviving in a natural world--is wrong. But yes, this is a "prison planet" -- but the prison was constructed BY the inmates, not ETs, because the inmates are just too lazy to actually DO anything to help the situation--except make it worse. The last of the actual DO-ers died back in 1307 CE, mugged by the inmates--because the inmates did not want their prison walls destroyed. And that hasn't changed a bit since then. I think there is a planet but some of us are not living there. This holodeck is like a planetarium - even the stars are not real, apparently. This is why some say we live on a flat earth. It's well over my head. And I think we are in a time loop. A sort of extended Groundhog Day (but it runs for a far longer period). I found those books because Robert Stanley recommended them highly. He said that if you read only one of the Panella books, then read Book 1 - The Children of the Harvest. I tried some others but they are soooo boring. I haven't bothered to even skim through most of those books but Time Loop 1 definitely appealed to me. Last edited by antiquatis user on Tue Jul 10, 2018 6:10 pm, edited 1 time in total. What happened in 1307 CE? I don't agree with yr opinion on ET101 but as they say, that's what makes a market. That book really resonates with me. Nor do I agree that it's the inmates who constructed this prison. The planet was co-opted when it was being constructed which eventually got us into this god awful mess. It's impossible for the inmates to go against the controllers because anyone who wakes up and starts causing trouble gets killed and the soul then goes through another memory wipe and put back into the matrix. I have that book; bought it some 20+ years ago. Still a good read though. It is an interesting text with many truths and enough humor to keep you entertained. And because the information is presented in this very appealing manner you end up reading the whole thing--and may even believe it. However, manual-wise it falls short on telling you anything helpful. It is a prime example for talking a lot and saying very little. I had to laugh when they said they dropped the Law of Karma and replaced it with the Law of Grace, implying you can do whatever you want without consequence. Not the most enthusiastic fellow, is he. Those were some fascinating stories but his face would have put me to sleep if I hadn't played bubble shooter at the same time. A person following his passion usually has a different tone of expression to him/her. This guy looks like he put himself under constant hypnosis. Other than that it was an informative interview. I looked at his website and the prices of his services... One would think spiritual people are just following their passion and are not in it for the money. But when I see prices that are over $100 per hour, I have my doubts. Apparently, he will put you into trance over either phone or Skype and then you will be able to talk to a deceased one of your own choice. Interesting. So that's over $100 per hour and he doesn't even have to leave his own house. From a business perspective, that's pure genius! She told me that there is a planet. We call it Earth, some call it Gaia, some ETs call it Terra, others call it Mita. The volunteers left their bodies behind and sent their consciousness to incarnate as human on Terra. But something went badly wrong. Instead of incarnating on Terra, their consciousness ended up in a holodeck which replicates Terra. Instead of getting into the jungle, they got trapped in a zoo which replicates the jungle. 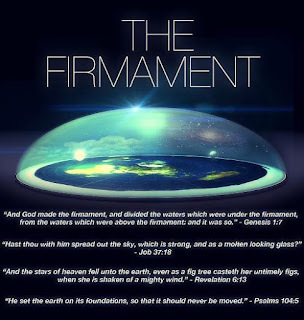 daniel addressed the firmament issue over at CH, see this post. About the Earth and everything else not being real... People who can't be satisfied by video games must be trapped in an artificial world by other means, hence the "you are already living in a hologram"-narrative. As you can see, there are traps made for everybody's liking, so you better watch your step. In your own words: Instead of getting into the jungle, they got trapped in a zoo which replicates the jungle. The difference here is: this cage door is always open. You only need to step out of that false paradigm. And keep your eyes open, so that you don't walk blindly into the next cage! There's something else. My friend hasn't confirmed this but I think it's true. We are in a time loop. As I said, a trap for everybody's taste. The old tricks (alcohol, drugs, video games) won't do anymore for the more spiritual inclined folks, so other mental prisons had to be developed. You seem to be falling for every single one of them. Take note: the reality you are living in, is VERY real. Don't let anybody tell you any different. You call that an explanation? That's exactly what the controllers want you to think. "We are all helpless, please send in the pleiades, the silver legion and all other loving, umpteenth dimensional, high vibrating light warriors to help us get rid of the controllers, so we don't have to lift a finger." In regard to lightworkers, I found deepfsh's post very "enlightening". Thats where my mind went. The Templars. But I'm not one for the "blackpill" on the subject and for the rest of humanity. The way I see it, we are in the Kali Yuga that is looking to give birth to the second renaissance. Granted, as we progress, there will be technological "solutions" presented to us (its a negative trait of the Aquarian age we are also progressing into) there will also be a surge of information a la Ted Kaczynski's manifesto against high technology that will take place and develop. It will be humanity's next greatest struggle, as the 3rd density of choice, as described by Ra, diminishes and polarizes towards the 4th density of love and hate. Hate being a continued ignorance of Self regarding Life and Ethics as a natural consequence of evolution and Love realizing what that evolution entails/promises. My thoughts exactly I almost could do that too, but then again I really dont want Karma from that sort of thing when I know that I would totally take advantage of people for "false beliefs" (closest term I really mean) or anyother thing that is made up stuff, because it is just WRONG. I think that guy has been a phone salesman back in the day, with religious background, the other guy in the video looked like a priest or lobbyist. Priest or lobbyist the same thing, I am I right. I can think that too, but why not go forward in time if you have the option to do that too? Why to live in such a loop at all in this planet? You could go check out other planets loops and see where they will take you next. There certainly are loops bigger and smaller ones, if you can see them for what they are and not what they supposed to be just because someone higher power etc. said so. That is exactly what they want you to think. But I think that it doesn't matter if you "wake up" or not as long as you are not doing anything severe against them because that will certainly get you killed, if not careful enough that is. I am trying to be nice in my writing could be more blunt too, but the goal here is to keep an open mind, for both that is. Although ever since I joined in I have little by little left New Age beliefs all behind me it all happened in a few years, couldn't be satisfied by it perhaps, I dont know now why I dont think that way, maybe because it requires blind faith more than I have it to give, plus daniel and Lonebear really helped among others in this forum to see more clearly and personal experience being under the influence of psychedelic drugs. Being on drugs the mind can imagine almost anything that would seem real and also mind is susceptible to suggestions more than sober. I think it is good to have this experience and only in hindsight I can see what it really was. Just have to keep an open mind and be analytical of all new information you receive. It's hard to explain where I am coming from or why I think this way. I've seen how powerful the controllers are. And I have also see the way God works. There are layers and layers and layers. I know a handful of them and they are working assiduously to unravel this mess. Right now, we are in a period of grace when all those who have transgressed universal law will be forgiven and granted clemency by God if they step forward now to the plate. They can all be healed and put back to factory settings. But they are expected to work hard to put things right; clean up the crap they created. It is my understanding that God has decided that what cannot be healed will cease to exist when this period of grace is over. As someone said - when dealing with monsters, one must be careful not to become a monster himself. The deal that upstairs offers is very fair; generous even considering how much harm they have caused. This parasitic lifestyle will not be allowed to continue any more. That's my understanding of the situation though obviously I am only mortal and can be wrong. Ordinary slaves cannot go up against the controllers, not the real controllers who work behind the scenes and there is such a huge variety of them. There is no need for us to agree on anything. I know where my path leads me and that's where I shall go. We are just ships passing at night, each going his own way. I'll leave you. I was told not to go blabbering on the internet. BTW that video on the giant silicon tree stumps - I watched that after seeing daniel post the link. It reminded me of what Lobsang rampa wrote in the Cave of the Hermit. There was giant vegetation on the planet long ago but that was replaced by different life forms.